(2013) Metodo. International Studies in Phenomenology and Philosophy 1 (1). In the present critical time not just politics and the general economic system show their limits, but philosophy and culture in general are confronted with radical issues concerning sense and aims of practices that, although they seem to have lost their intuitive ground in the life-world, have intrusive power in everyday-life. Starting a new publication in such context needs an open self-reﬂection on preconditions and purposes of the enterprise we are starting with this ﬁrst issue. The original inspiration of this journal goes back to a collective research experience that took place over a number of years. Despite the diﬀerent approaches and positions in the phenomenological and broadly philosophical world, the members of the editorial board share a common view of the value of philosophical work that leads back to lived-experience, the struggle of conceptual clariﬁcation. On this basis an intense exchange has taken place in which not only new ideas and questions have been raised, but ﬁrst of all the necessity of new clariﬁcation of basic concepts and methods is constantly felt. These concepts and methods operate as deep presuppositions of every scientiﬁc work as well as of most of our practices and of political debates and actions. Altobrando, A. , Pugliese, A. (2013). Introduction. Metodo. 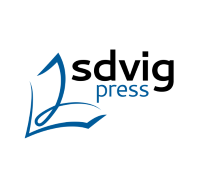 International Studies in Phenomenology and Philosophy 1 (1), pp. 1-3. 1In the present critical time not just politics and the general economic system show their limits, but philosophy and culture in general are confronted with radical issues concerning sense and aims of practices that, although they seem to have lost their intuitive ground in the life-world, have intrusive power in everyday-life. Starting a new publication in such context needs an open self-reﬂection on preconditions and purposes of the enterprise we are starting with this ﬁrst issue. The original inspiration of this journal goes back to a collective research experience that took place over a number of years. Despite the diﬀerent approaches and positions in the phenomenological and broadly philosophical world, the members of the editorial board share a common view of the value of philosophical work that leads back to lived-experience, the struggle of conceptual clariﬁcation. On this basis an intense exchange has taken place in which not only new ideas and questions have been raised, but ﬁrst of all the necessity of new clariﬁcation of basic concepts and methods is constantly felt. These concepts and methods operate as deep presuppositions of every scientiﬁc work as well as of most of our practices and of political debates and actions. 2The pressing challenge of interdisciplinarity demands for deepening the internal debate about the soundness of the philosophical method, its chances of development, the balance between strength and openness, necessity and limits of contaminations. On the other hand we will pay attention to the false currency of interdisciplinarity — which is often used without noticing it— where there is a necessary dependence between methods and realms of reality, and which seems to be more and more a way to regiment theoretical research in more rentable paths. 3The idea which lies at the heart of this journal is that phenomenology itself has to be taken, at least initially, not as a closed and complete theoretical system, but as a method, a praxis, a path, which cannot be defended in a dogmatic way, but has to be lived in and exercised in several forms. Such intern variability notwithstanding, the phenomenogical method is still characterised by some distinguishing requirements that have to be fulﬁlled for the analysis to be valid. 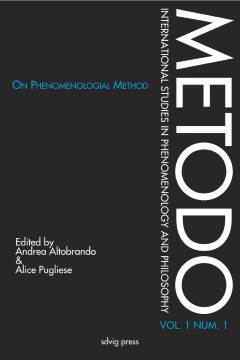 4The ﬁrst contributions of the current issue are therefore related to some core aspects of the phenomenological method. The main imperative and peculiarity is to reconduct (lead back) concepts to their experiential roots. As reaction to the potentially destroying scepticism that can arise from constant deception of our practical and scientiﬁc knowledge, Husserl suggests that to re-gain all of our certainties they must be subjected to a reliance test. This suspends the judgment implied in each statement and investigates its intuitive sources, i.e. leads them back to the experiential context they are born in. 5The practice of epoché and reduction, which are the milestones of Husserl's phenomenological method, have been widely criticized even by many phenomenologists after Husserl, such as Heidegger, Merleau-Ponty, Levinas, etc. Exactly the highly problematic implications of the epoché-reduction mechanism inside phenomenology seems to attest a profound need for clariﬁcation and deﬁnition of phenomenological work itself. 6In this ﬁrst issue of Metodo we present diﬀerent ways of answering that last demand. In particular, Shigeru Taguchi and Dieter Lohmar concentrate on the idea of phenomenological reduction as such. 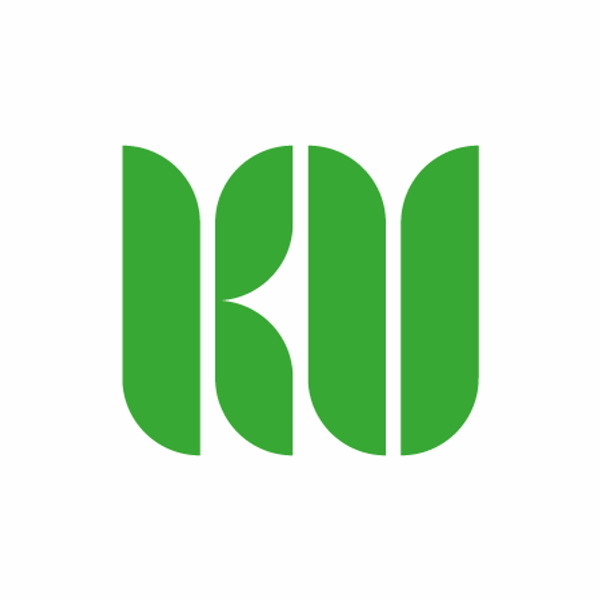 On the one hand, Taguchi makes clear that “the phenomenological reduction is not a sort of ‘retreat’ or ‘withdrawal’ into a merely subjective, individual consciousness, but a method of liberating one’s thinking”, thus showing even the broader philosophical and even existential implications of the founding moment of phenomenology. 7On the other hand, in a well-known article originally written in German and which we present here in the italian translation, Lohmar displays the diﬀerent meanings of reduction tracing them all back to a common sense understanding of methodological reduction, still accounting for diﬀerences and peculiarities of each form. His contribu- tion helps us focus on the concrete functioning of the phenomenological method in the original Husserlian account. It represents a central reference to assess the possible variations of the method and establishes therefore the basis for further discussion. 8This can concern epistemological issues such as the debate about naturalism in philosophy of mind, as Eduard Marbach does, or concrete phenomenological analysis, such as the one proposed by Saulius Geniusas. Marbach presents phenomenology as an alternative to the pervading naturalization of the thought, i.e. to thedogmatic acceptance of methodology and presuppositions of the natural sciences as the only consistent, valid and appropriate approach to all possible matters. He reﬂects on the Husserlian idea that “consciousness is not a thing” showing that, despite the presumption of the naturalistic idea of science to be an uniform and conclusive category for scientiﬁc knowledge, sense plurality ineluctably returns and inner diﬀerentiations seem to be the unavoidable substance of philosophy itself. In the same vein, Genusias proposes to consider phenomenology as structurally representing the third way between naturalism and historicism, which ﬁnally promises to rescue the philosophical eﬀort from reductionism. He shifts the contraposition between naturalistic and phenomenological method from an abstract meta-theoretical level to the concrete analysis of a complex lived experience such as chronic pain, thus showing the existential consequences of the dispute. 9De Palma raises anew the question of experience as the unavoidable ground of each conceptual and practical enterprise, which can be corrected only on the basis of new experiences and oﬀers therefore the last source of justiﬁcation of knowledge. Such radical interpretation of phenomenology points out some central characteristics of the method and the typical reliance on the experiential world as structural ground of theory, not just a font of inspiration but rather of objective structures. 10Boi’s article shows in a very clear way how Husserl’s and phenomenological analyses in general can oﬀer a signiﬁcant contribution to the contemporary debates concerning geometrical models of spatial perception. Consistent with most of the phenomenological authors of the present and of the past, Boi’s accurate exposition of a morphological approach to perception permits to point out the embeddedness of the perceiving subject in the world, avoiding both a reductionist account and a vague speculation of lived perceptual experience. 11The self-reﬂective clariﬁcation of assumptions and truths of phenomenology and science does not represent the only value of the philosophical work as it is conceived by the journal. The reﬂection on method and the challenge of a constantly renewed clarity and awareness of the theoretical practice claims a public responsibility as well. It oﬀers itself as an exercise of honesty, as a playground for lively experimental debates and open-minded, anti-dogmatic trials. Into this line can be situated the contribution of BernhardWaldenfels. His lecture draws the original interdisciplinary inspiration of phenomenology as a non-naturalistic and non-historicist thought, open not just to the topics of science, but also to the characteristic strength of a serious scientiﬁc enterprise. A real interdisciplinary dialog like the one he aims to promote is founded neither on simple sharing of results nor on a passive takeover of the method. Rather, he claims a constant rethinking of practices and methodology, of basic presuppositions and theoretical thesis in order to correct and inspire each other, without forcing an impossible uniformity. He stresses, furthermore, in his lively reconstruction that such dialog is not just a theoretical one, but rather has central meaning for our existential self-knowledge and our possibility to live in a time of crisis without spiritually being suﬀocated. We can say that Waldenfels prods us to answer to the crisis with a critical thought. This ﬁnally corresponds to the proposal of a public and broadly political goal which we heartily accept as one of the main tasks of Metodo: to be a medium for a thinking which does not simply reﬂect instances and solutions of the present era, but takes on the responsibility to think that faces the future.